Would you like to log yourself in or would you prefer to create an account ? 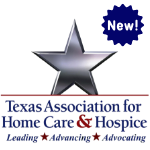 Programs bearing this symbol have been selected by TAHCH for compliance with the Texas HCSSA regulations. Each of these programs have been peer-reviewed for quality & relevance with content specifically chosen to fulfill HCSSA Administrator and Alternate Administrator Training requirements. Renovations are done and we're ready to celebrate! Brighter look, earned hours displayed on each product card, and a filter now available within the product categories. We wanted to make it easier to find the courses you need. As part of our celebration we want to give you a chance to win FREE CE programs! You'll find further details and an entry form by clicking the button below. Add your name to the drawing....and good luck! We got carried away. While rebuilding our store we also created a [free] CE Reminder feature for you. Available very soon - we're applying the finishing touches. It's all about helping you comply with administrator training requirements. Deadlines are easy to forget when you're busy – you've told us. So that's why we're creating this new service. Sign up and we will send you reminders - by email, text or both - on a schedule of your choice. You can stop at any time. Texas Through The Looking Glass - What Does The Data Tell Us? 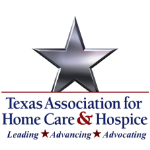 OIG’s 2019 Workplan – Is Your HHA, Hospice, Personal Care Agcy in the Government’s Crosshairs? Initial Phase One Curriculum [8HRs] for New Admins & AlternatesAchieving HIPAA ComplianceAbuse, Neglect & Exploitation: Common Mistakes & Practical SolutionsAdministrator’s Role in Risk ManagementEmergency Preparedness: Developing a “Plan That Will Stand”Initial Phase Two Curriculum [16HRs] for Personal Assistance Svcs ProvidersEthical and Legal Practices in Home CareHow to Increase Referrals Without Increased CostsSocial Media in the Workplace: Practical & Legal Considerations in Drafting Social Media PolicyAre You Managing SMART?